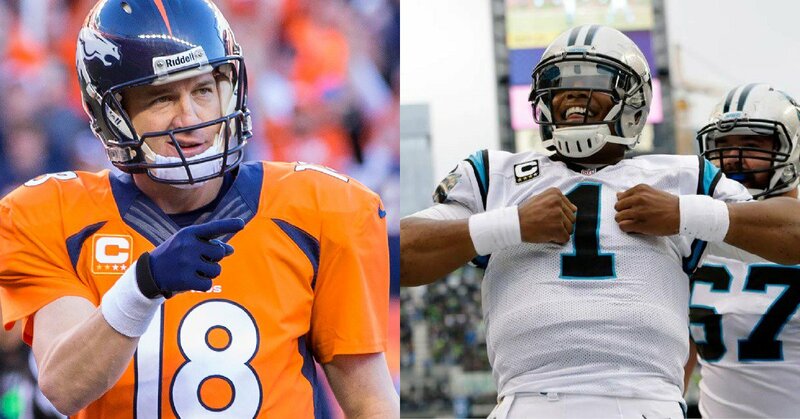 Four months, 64 preseason games, 256 regular season games, 10 playoff games and one (awful) Pro Bowl have all come down to this: Manning vs. Newton, Broncos vs. Panthers in Super Bowl L … wait, we’re back on Arabic numerals? Fine. SUPER BOWL 50!!!!!!!!!!!!!!!!!!!!!!!! Scoring points has been a struggle for the Denver offense this year. Despite coming on a bit later in the season, they finished the regular season ranked just 25th in the League in offensive DVOA**. As weird as it is to say about an all-time great, Peyton Manning has played a major part in their struggles. Once known for an arm that required defenses to cover every blade of grass within 50 yards of the line of scrimmage, Manning has been playing all year with crippling physical limitations. Tough throws that had previously been his trademark are now completely off the table for him. Even worse, he’s been careless with the ball all season, though he was able to clean that up for his playoff matchups with Pittsburgh and New England. Having said that, Manning’s experience and QB acumen will be vital Sunday. The Broncos will need to be effective running the ball to have a chance and Manning’s ability to recognize coverages and blitzes pre-snap against the Carolina defense will have to play a huge part in that. Carolina’s run defense is quite good, ranking 6th in run defense DVOA. To succeed while overmatched against Carolina, Manning must ensure that Matt Paradis and Evan Mathis (a good run blocker and a great run blocker respectively) are keenly aware of the movements of the two most important players in Carolina’s front 7 – Luke Kuechly and Kawann Short. If those two players can be neutralized, Denver will control the clock all night. Denver’s offensive line has struggled in pass protection at times this year, but they’ve come on in recent weeks, particularly in the postseason, and they figure to have the upper hand in this matchup as well. Carolina ranks only 11th in the NFL in adjusted sack rate this season and they’ll be without Jared Allen who, while a shell of his former self, is still an important part of their pass rush. Carolina’s secondary will have to put in yeoman’s labor at the line of scrimmage to disrupt Denver’s receivers for their pass rush to have much bite. Denver’s improvements in protection combined with Manning’s proclivity for unloading the ball quickly should lead to a relatively hassle-free evening in the pocket. Expect his jersey to be pretty clean at game’s end. Even without a dominant pass rush, Carolina has been very effective defending the pass this season. 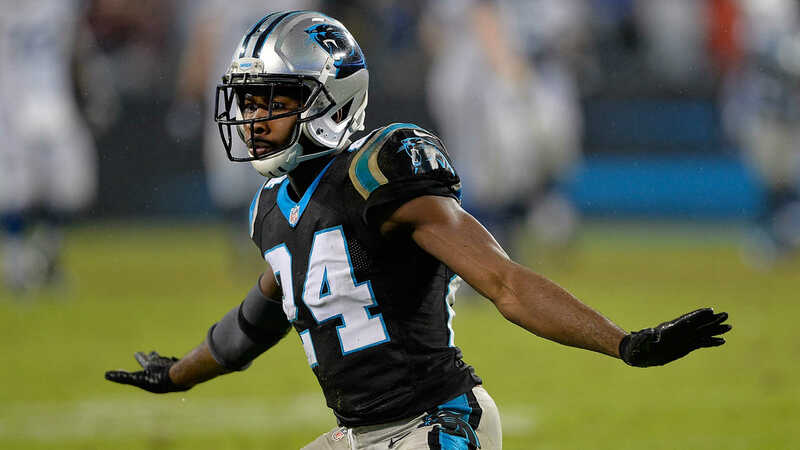 Josh Norman has been the best cornerback in football and their linebackers (Kuechly in particular) and safeties have done a very good job taking away the middle of the field in the passing game. There will be plays there for Manning to make in this game, but they’re going to have to happen away from Norman and Kuechly. The resurgence of Charles Tillman was a fun storyline of this season, but he has missed the entire postseason with injuries and Carolina’s lack of secondary depth has been exposed as a result. In back-to-back weeks, the Seahawks and Cardinals found a lot of success by targeting backup cornerback Robert McClain. Norman can only cover one of Demaryius Thomas and Emmanuel Sanders on a given play. How Panthers’ Defensive Coordinator Sean McDermott chooses to deploy him will be a major story of this game. Does he leave him on one side of the field no matter what the way the Seahawks use Richard Sherman? Does he put Demaryius Thomas on “Norman Island” and try to turn Norman into Darrelle Revis for one game? All things considered, Carolina’s defense is a very stout unit that is not without weaknesses. They have the edge in this matchup, but opportunities for game-changing plays will present themselves to the Denver offense. If Denver’s defense can keep Manning in the game, the game will come down to whether or not he can take advantage of them. Best player in football, meet best defense in football. As good as Cam Newton has been rifling the ball all over the field this season, the Panthers will need to have success in the run game to score points Sunday night. Fortunately for Carolina, Newton changes their running game from conventional to unique and catapults it from goodness to greatness. Newton rushed for 636 yards this season on 132 rushing attempts and more than 100 of those attempts were designed, not scrambles. He gives defenses another fast, freakishly athletic player to worry about between the tackles. He occupies a defender all by himself even when he doesn’t have the ball. He is a one-of-a-kind weapon. Denver, though, rates out as an elite run-stopping team. They finished the season ranked 4th in rush defense DVOA. Defensive Coordinator Wade Phillips is one of the best who’s ever done it, so I’m sure there have been many sleepless nights in the film room figuring out how to attack the Newton-Stewart two-headed monster in Carolina’s backfield, but the closest thing to a Cam Newton comp that this defense has faced is Alex Smith. They’ve never played a quarterback close to Newton in either style or ability in the run game. Carolina will have to exploit that inexperience to find success because their offensive line figures to be outmatched. As good as Denver’s defensive line is in run defense, they’re even better rushing the passer. Von Miller and DeMarcus Ware are the ones most responsible for Denver’s place in this game as they repeatedly terrorized Patriots’ quarterback Tom Brady in the AFC Championship. The mismatch is not quite so pronounced this week and Carolina’s offensive line has been much better than it had any business being on paper, but DeMarcus Ware against Michael Oher is a big mismatch in Denver’s favor. Von Miller against Mike Remmers on the other side of the line is an even bigger one. This is normally the part where I’d discuss how Oher and Remmers could at least try to force Ware and Miller to the outside and that Cam Newton needs to be quick to step up in the pocket, but if Denver continues the way they’ve been going, there may not be a pocket to step up into. The edge rush is the best thing about Denver’s defense, but their interior pass rushers aren’t slouches either. Malik Jackson and Derek Wolfe have both been outstanding all season and will look to blow up the pocket again on Sunday. There may be nowhere for Newton to go. 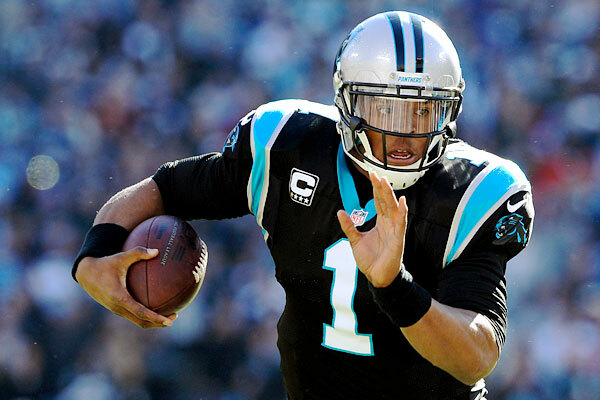 Cam Newton is this season’s unquestioned MVP, but in contrast to his counterpart who gets rid of the ball quicker than almost anyone, Newton actually holds the ball in the pocket longer than almost anyone. Some of that is attributable to the scheme Carolina has been running to utilize its speed-first personnel, but it certainly cannot continue on Sunday. Carolina has been fielding a collection of unimpressive wide receivers all season, but Ted Ginn, Jr. sure can run really fast in a straight line! Whether he catches the ball that hits him on his hands is another matter entirely, but Denver’s pass rush will not allow the kind of time Newton and Carolina’s offense have needed to excel in the deep passing game this year. Tight end Greg Olsen and Newton’s secondary receivers will need to run quick routes to find open space quickly for Newton to have success. That could end up being a problem. No QB is better than Newton at buying himself time, but he may have nowhere to go against this Denver pass rush and Denver’s secondary has a pretty decisive leg up against Carolina’s pass catchers. The Broncos’ preferred defense is dropping one safety deep as a “center fielder” of sorts and leaving their cornerbacks and linebackers in man coverage. When cornerback standouts Aqib Talib and Chris Harris Jr. are both healthy, Denver’s secondary can match up with anyone. They should have few troubles matching up against the Panthers’ meager set of weapons in the passing game. Additionally, since I pointed out that Denver’s defense has never seen a QB like Newton, it should also be said that Newton has never seen a defense like Denver’s. Although Newton chewed up and spit out two very good defenses in the last two weeks, they were also two defenses with pass rush as Achilles heel. 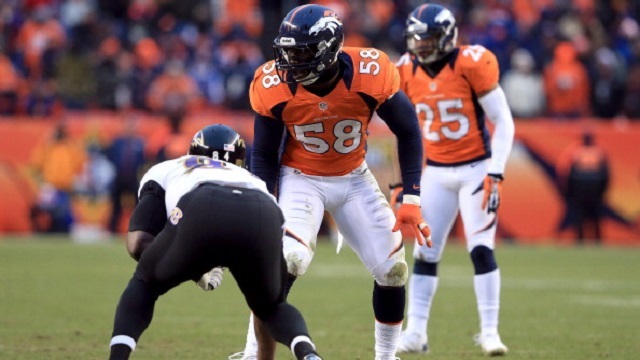 Denver’s defense does not have an Achilles heel, and the pass rush is their biggest strength. The MVP will have his work cut out for him. Denver is able to keep the running game moving, allowing for a balanced offensive attack and a heavy dose of quick, easy, safe throws for Peyton Manning. 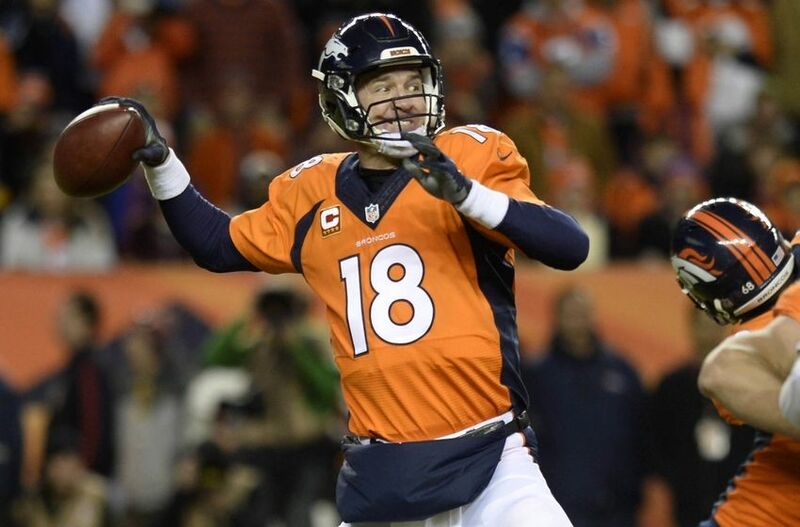 Manning avoids any backbreaking turnovers on ill-advised throws over the middle. The defense pressures Cam Newton all afternoon to throw off the Carolina offense and Denver hangs around long enough to maximize on the few openings that Carolina’s defense gives them. Denver wins a close, low-scoring game. Newton’s presence in the backfield leads to strong totals in the running game on offense. That success gets the Panthers into scoring range and alleviates some of the pressure provided by the Denver pass rush. The defense suffocates Denver’s running game and forces Peyton Manning into 40+ passes, at least one of which will inevitably be intercepted. Carolina controls the clock and gets Denver to play right into its hand. Before I went on a deep dive to preview this game, I thought it was pretty clear cut. On one hand, I saw one team featuring a great defense and a really good offense and had just obliterated two of the NFL’s five best teams in consecutive weeks. On the other, I saw a team that had one of the best defenses I’d ever seen and an offense that wasn’t good at much of anything. I stand by that initial diagnosis, but of course the full story is more complicated than that. Both defenses in this game have a strong leg up on the offense they’ll be facing this Sunday. The strongest argument that can be made for Denver, and it isn’t a bad one, is that their defense really is that good, that it can hold any offense down long enough for a stagnant offense to cash in on one or two big plays. Carolina’s defense, though very good, is not capable of the kind of performance that would never give openings for those one or two big plays to happen. So do you pick Denver? It depends. Do you think Denver’s defense is that good? Do you think Manning can stay out of trouble until those few big opportunities present themselves? Do you think he still has it in him to make Carolina pay for them? The best argument to make for Carolina is that Cam Newton – this entire team, really – has been making evaluating games on paper look stupid all season. Manning is going to have to wait for opportunity to present itself. Newton forces opportunity. He creates it for himself and his teammates. He’ll be facing a dominant pass rush and won’t have much in the way of reliable targets apart from Greg Olsen. But the threat he poses on the ground gives Denver something to think about and game plan for that they haven’t had all year. Can Newton catch them with their pants down? Denver didn’t exactly light up the scoreboard against Pittsburgh or New England. Can they score against this better Carolina unit? Depending on your rooting interest, you can objectively and justifiably buy into either line of thinking about how this game will unfold. There are clear paths for Denver to shock the world – they’re currently 6-point underdogs, a big line for a Super Bowl – and get the win. I can think of any number of ways this game could go off-script for Carolina and the Panthers could find a way to win. The Panthers could score 14 points and still win the game. Newton could get sacked six times without it making a damn bit of difference thanks to 3 Manning interceptions. I could go on. In contrast, it’s difficult to create scenarios where the Broncos win if this game goes off their script at all. It could certainly happen. Heck, it happened for them against the Patriots. However, making predictions is an exercise in probability, not certainty, and games rarely go exactly as they’re supposed to on paper. We’ll be back on Tuesday morning with a Super Bowl recap, but thanks so much for following along with us this NFL season. Happy Super Bowl. **All statistics in this article were gathered from footballoutsiders.com except where otherwise noted. 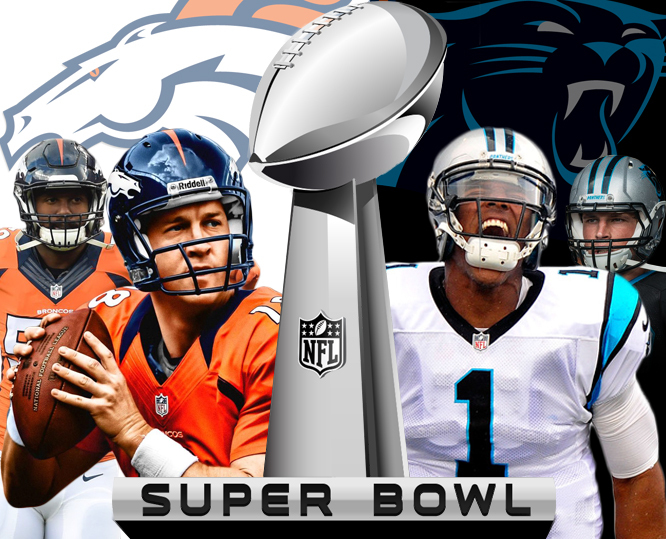 « Previous Article An outsider's guide to the Super Bowl: Who should you root for?